How Does Drug Compliance Work? Who Regulates Drugs in the United States? There was a time in theUnited Stateswhen drugs used for medicinal purposes were not regulated. In fact, the Food and Drug Administration (FDA) was expanded, in part, due to the medicine ‘healers’ that are still depicted in old westerns traveling from town town selling their elixirs that were deemed to ‘cure all ills.’ Today, medical and drug compliance has become a vital part of America’s world-class healthcare system, and the laws established have been put in place by lawmakers in order to protect the American public from hazards, as well as to educate consumers regarding these drugs and medical devices. Drug compliance, albeit costly, is a highly necessary aspect of theU.S.healthcare industry. An interesting fact about modern drug regulations, drug compliance, and medication labeling is that the FDA began with just one man. In 1848, during the administration of President James K. Polk, chemist Lewis Caleb Beck was appointed to carry out chemical analyses of agricultural products. From there, the Food and Drug Act of 1906 was created in order to prohibit interstate commerce regarding, among other things, the misbranding of drugs. This law was advocated by Harvey Washington Wiley, Chief Chemist of the Bureau of Chemistry in the Department of Agriculture. He aided the passage of this law to provide basic protection to consumers that had not existed prior. The serious abuses that had been taking place with the selling of just about anything people wanted to call drugs or ‘cure-alls’ had become a gross outgrowth of free trade, and millions of consumers and lawmakers alike decided it was time to rein in these abuses. Today, the mission of the FDA is clearly stated: To promote and protect public health through strategies and actions that minimize consumer exposure to unsafe, ineffective, and poor quality drugs. Drug compliance through the FDA has grown into a major part of the United States Federal Government, with thousands of employees working across dozens of offices. Three of the major divisions in the FDA include the Center for Biologics Evaluation and Research, the Center for Devices and Radiological Health, and the Center for Drug Evaluation and Research. These offices are tasked with analyzing, evaluating, researching, and ultimately approving only the safest and most effective of medications. It’s the job of the FDA to the establish criteria that drug manufacturers must comply with before new drugs are permitted to be sold in theUnited States. These criteria must be met before a drug is permitted to be sold on the open market, and clinical trials have become one of the best means for ensuring a new drug’s safety and effectiveness. However, the job of the FDA continues long after these new drugs are made available for sale to American consumers. This agency continues to monitor such drugs and drug manufacturers in order to assure that drug compliance is followed, as well as to determine whether approved medications remain safe and effective with the passage of time. The FDA also has established certain criteria for the marketing and advertising of all approved drugs in order to ensure that consumers are continuously provided with comprehensive and accurate information regarding their medications. Drug manufacturers looking to produce a new drug and sell it on the marketplace must first submit an application to the FDA before they even begin clinical trials. 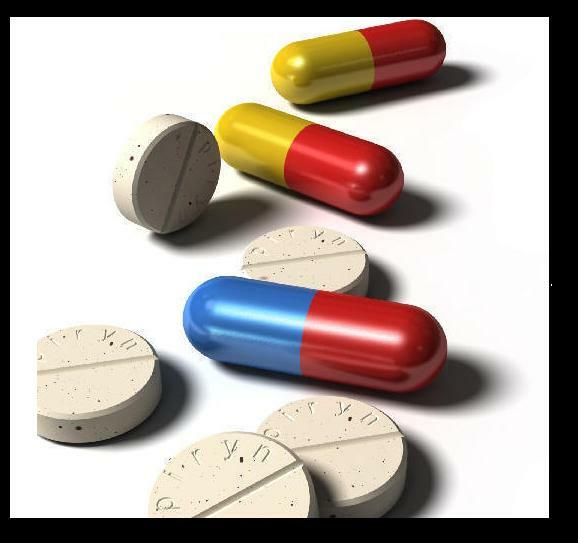 During the clinical trial phase, controlled prescriptions are supplied to patients who volunteer for such trials in order to determine the safety, effectiveness, and potential side effects of new drugs. The FDA then reviews the application and approves only those that meet its stringent regulatory standards. The FDA also can choose to halt clinical trials at any time during this process if drugs are not meeting these standards. Finally, the agency will approve only the drugs it deems satisfactory, and it then will provide license for the drug to be marketed. This process often takes months, but usually takes years from start to finish. Indeed, the word is ‘healthcare’ for a reason, and the FDA takes its job of protecting and caring for the health of Americans very seriously. Drug compliance is not just important in today’s healthcare industry. It’s crucial, fundamental, and imperative to the health of the nation. The many years that it takes a drug manufacturing company to take a new medication from idea to market may seem like overkill, but the fact is that the FDA, the overseer of drug compliance, is the reason American consumers now have all the information they need right at their fingertips regarding every single medication sold on the market today. How Does Medical Device Compliance Work?